Loretta Lynch’s Justice Department will place new emphasis on home-grown violent extremism committed by so-called ‘right wing’ attackers. The new position at the Justice Department, dubbed the “domestic terrorism counsel,” will serve as the main point of contact for U.S. attorney offices nationwide and will identify trends across cases, help shape strategy and “analyze legal gaps that need to be closed,” said Assistant Attorney General John Carlin. It is not clear what Carlin meant by that statement. “The legal gaps are probably laws that need to be changed,” said John Whitehead, founder of the Rutherford Institute and a longtime constitutional attorney. “I’m sure it’s gun laws,” said Tom Fitton, president of Judicial Watch, another watchdog agency. Fitton says the Justice Department is teaming up with the Southern Poverty Law Center to “go after” the Obama administration’s political enemies while downplaying the threat of Islamic terrorism on U.S. soil. The FBI has confirmed it has active ISIS investigations in all 50 states. And Islamic-inspired attacks have occurred in recent years in Chattanooga, Tennessee; Garland, Texas, and Fort Hood, Texas. Other examples include the Boston Marathon bombing and the Oklahoma City beheading of a Christian woman. But the Justice Department sees Islamic jihadists as no more dangerous than mentally ill actors such as Dylann Roof, the Charleston, South Carolina, church shooter who killed nine black Christians. In fact, Justice officials have indicated these home-grown “right wingers” are possibly more numerous and dangerous than the jihadists. 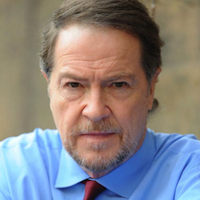 In announcing the new position Wednesday, Carlin referred to a study by the New America Foundation that found nearly twice as many Americans have been killed by “right-wing” extremists since Sept. 11 than by Islamic terrorists. However, a look at the funding sources of the New America Foundation show its financial support comes from billionaire George Soros’ Open Society Foundations and the Carnegie Corp. of New York, which has funded causes such as Common Core and mass immigration. New America Foundation’s list of terror attacks since 9/11 includes the Charleston church shooting among 19 “right-wing” attacks, despite evidence that Roof has a history of severe mental health issues. The study could find only seven “jihadist” attacks that killed 26 people since Sept. 11. Nowhere to be found on the foundation’s list is the Chattanooga shooter, Muhammad Youssef Abdulazeez, who killed five U.S. servicemen. Also absent on the list is John Muhammad, the Washington, D.C., sniper who killed at least 10 people in 2002 with his young accomplice, Lee Malvo. Among the attacks classified as “right wing” are multiple shootings of police officers by suspected “anti-government” perpetrators, a 2004 bank robbery in Oklahoma and an armed robbery of a man’s house in Arizona in 2009. The study referenced by Carlin was reported uncritically by the Associated Press, the Hill magazine and other media outlets. 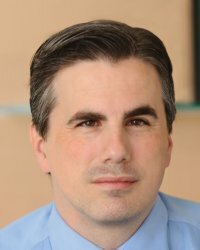 Fitton said the move marks the continuation of Obama’s legacy of targeting conservatives in memos that have come down from the FBI and Homeland Security through the years. The memos have targeted military veterans, gun owners and tea-party activists, all of whom are viewed as potential terrorists worthy of being watched. As recently as August WND reported on a leaked memo from the FBI that alerted law enforcement at the state, local and federal level that the next big terrorist attack on U.S. soil was likely to come from an extremist militia group harboring anti-government views. Whitehead, author of “Battlefield America: The War on the American People,” said he believes the new czar over homegrown violent extremism will work in tandem with the Strong Cities Network announced late last month at the United Nations. As the Obama administration comes down to its final months in office, look for more brazen, racially charged steps that target law-abiding American citizens who express political views that don’t line up with those of the administration, Fitton said. For instance, if a black man kills a white cop, it’s ignored by the Justice Department and left to local law enforcement. But if a mentally ill white loner who can’t find a girlfriend shoots up a school, it’s seen as “right-wing extremism.” It then gets thrown in the same boat as terrorism, which triggers federal involvement, he said. By shifting resources away from international terrorist organizations and putting them into a new focus on domestic lone-wolf “extremists,” the Obama administration is sending a message to its enemies, Fitton said. The problem with these programs is a lack of clear definitions, said Whitehead. What is “violent extremism,” and what is “terrorism?” Are they the same? “The government will be defining what extremism is. I’m going to write a letter to the Justice Department and ask them, ‘Can you please define it right now?’ Congress should already be asking this. Do we want to go back to those 2009 memos under Janet Napolitano where returning vets and anti-abortion activists were named as potential extremists to be watched?” he asked, referring to Obama’s former secretary of homeland security. Based on President Obama’s comments and the actions of his administration, Whitehead said he can only guess who will get slapped with the “extremist” label. It won’t be Louis Farrakhan, leader of the Nation of Islam, who recently implored his followers to “stalk and kill” those white cops who have killed black suspects. 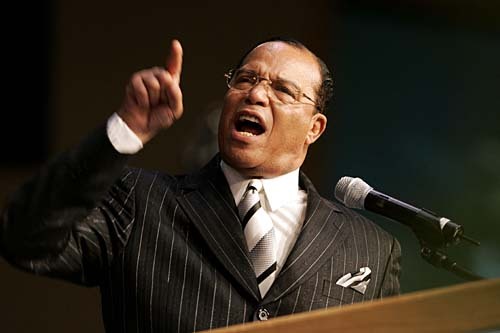 Will Louis Farrakhan, leader of the Nation of Islam, who has openly called for his followers to ‘stalk’ and ‘ kill’ certain cops, be branded an “extremist” by Obama’s new czar? Whitehead said Google’s latest multi-million dollar contract from the National Security Agency is telling. Facebook is also used by the government. “Everything is shared. There’s nothing that disappears. Everything goes into the cloud. The police agencies will say they only keep data for a year or six months, but it’s always there,” he said. He said Obama has pumped more than $100 million into the federal “smart cities” program, which will be run by advanced fusion centers or real-time crime centers. Whitehead said the Strong Cities Network, which was announced by Attorney General Loretta Lynch at the United Nations on Sept. 30, will play a pivotal role but it will be subtle. If you want to see the future of law enforcement, watch the film “Minority Report,” a drama about “pre-crime” fighting police engaged 24/7 with a population addicted to social media and the Internet, Whitehead said. “They’re already saying ‘we’re going against violent extremists,’ but who are they?” Whitehead said. 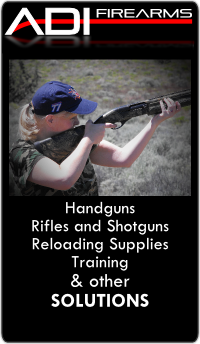 “Well automatically under the Obama administration you are an extremist if you own a gun. The ultimate goal of the NSA is “total population control,” according to William Binney, the highest-level whistleblower to ever come out of the NSA. Binney, one of the agency’s leading code-breakers during the Cold War, made this statement at a conference in London in July 2014. He left the NSA after Sept. 11, 2001, when he became disgusted with the NSA’s targeting of Americans instead of foreign enemies and he said the NSA “lies about what it stores,” the Guardian reported. “They want to be able to predict future behaviors of all citizens,” Whitehead said. And the administration has already admitted it is using behavioral psychologists to design federal programs in a way that subtly influences people’s behavior. “Obama wrote an executive order that the government wants to ‘nudge’ people to be involved in certain programs, and they admitted in that executive order that they’re working with behavioral psychologists to do this,” Whitehead said. The brains behind these mind-control programs belong to Cass Sunstein, the former Obama adviser who wrote the book on “Nudge.” Britain is the world model, with “Nudge squads” that influence people to perform certain tasks and think certain ways, Fox News reported. “So we’re dealing with an entity that has no idea about representative government. They’ve made up their mind who constitutes an extremist, and an extremist is a terrorist, an enemy of the state,” Whitehead said. “Veterans are already on the list, as are abortion activists, tea-party activists, constitutionalists. I know the vets are because we have them calling us every day. Fitton said the Obama administration has effectively put certain groups “on notice” that they will be watched, and watched closely. “I see the fingerprints here of the SPLC. … If you don’t like gay marriage you go on their hate list,” he said. “Are supporters of traditional marriage going to be on this list of suspects? We have an epidemic of cop killing across the country. Murder is up. Drug crimes are up. We have a president who has abused his powers, and what is the Justice Department doing? Looking for new ways of going after opponents of the president.